Like James Keelty, who built many of the rowhouses in Edmondson Village, many of the neighborhood’s new residents were Catholic and attended church to the east at St. Edward's on Poplar Grove or farther west at St. William of York. After James Keelty’s daughter died in 1922 at the age of six, he decided to build a new church for his neighbors and donate the building to the Archdiocese who dedicated the building as a memorial to Nora Bernardine Keelty. 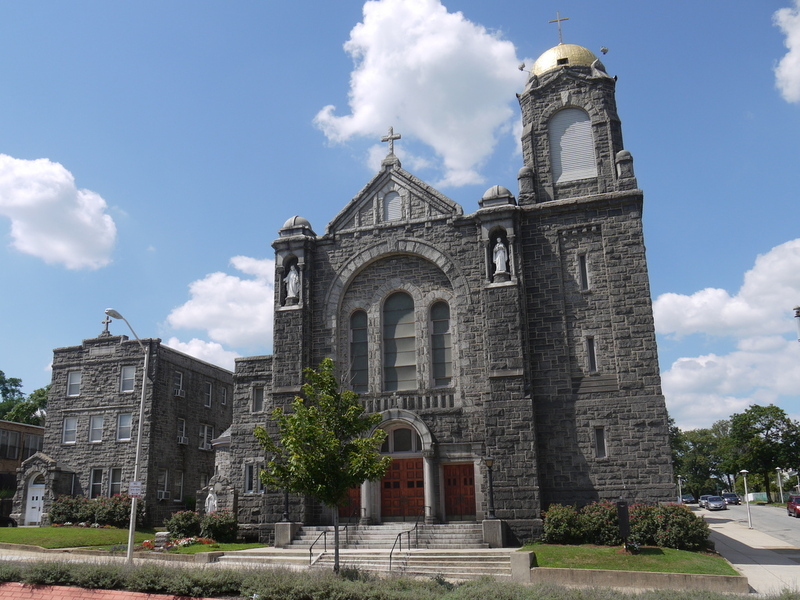 Completed in 1929, the church was designed by architect Francis E. Tormey who also designed the Furst Memorial Chapel at Most Holy Redeemer Cemetery and churches including St. Piux V (1907) at Edmondson Avenue and Schroeder Street, St. Josephs's (1913), and St. Bernard's (1926). Eli Pousson, “St. Bernardine's Roman Catholic Church,” Explore Baltimore Heritage, accessed April 23, 2019, https://explore.baltimoreheritage.org/items/show/279.